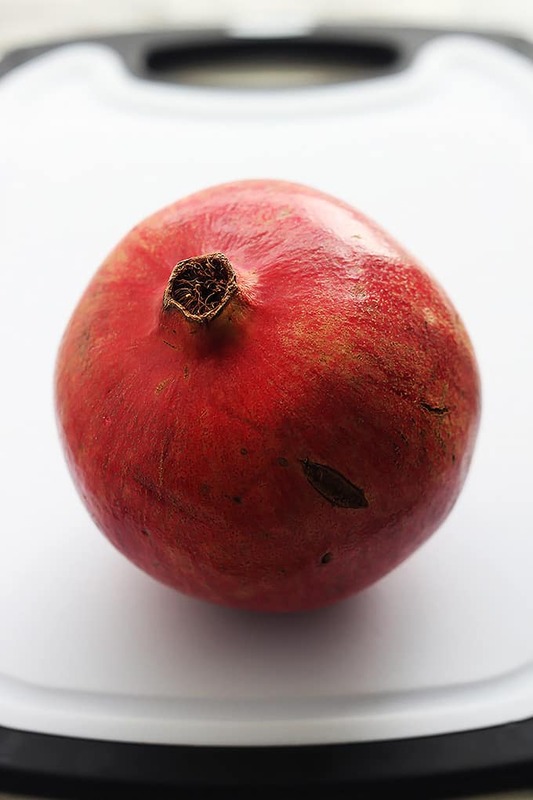 A simple step-by-step tutorial and video for how to seed a pomegranate the quick and easy way! 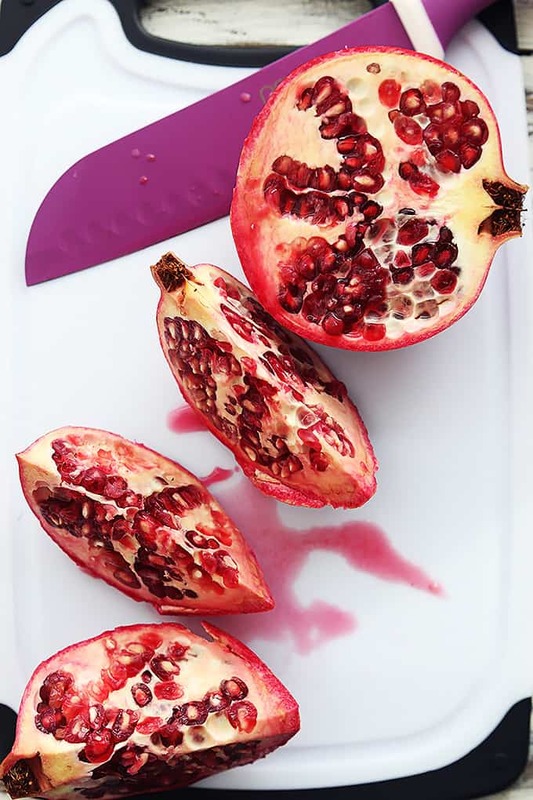 So pomegranates. They’re delish! But when I didn’t know how to seed one, I found them a huge pain and would end up spending 4 times the price of a whole pomegranate just to buy a 1/2 cup of the pre-seeded ones. 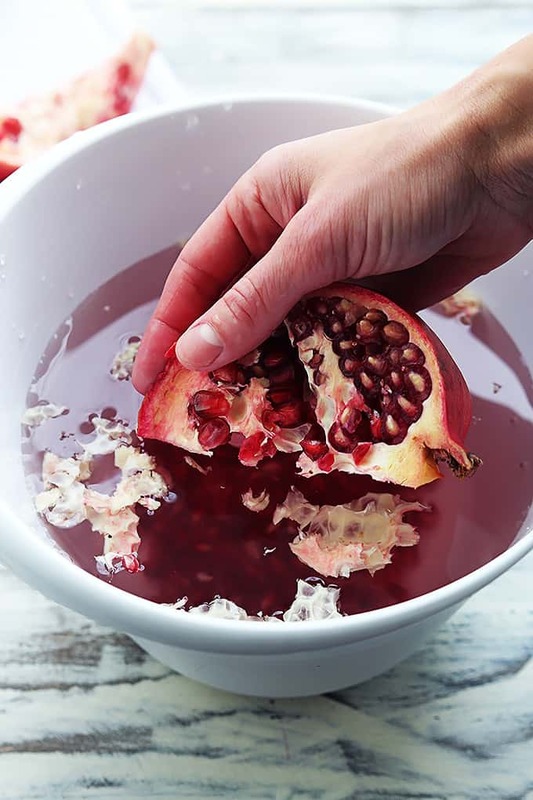 I’ve got a feeling some of you are guilty of the same thing so I’m going to share this super simple how to seed a pomegranate the easy way tutorial with you today! I even have a video for you – woahhhhhh. Okay let’s get this party started. 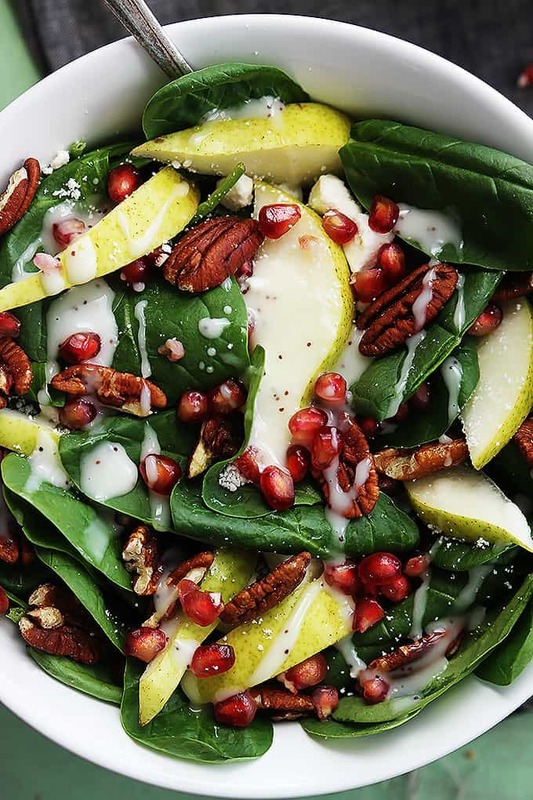 STEP 1: Start with a whole pomegranate. Chop it in half, then slice each half into 4 wedges. This is the cool part! The fleshy membranes float to the top of the water and the juicy seeds will sink to the bottom. It’s like magic. 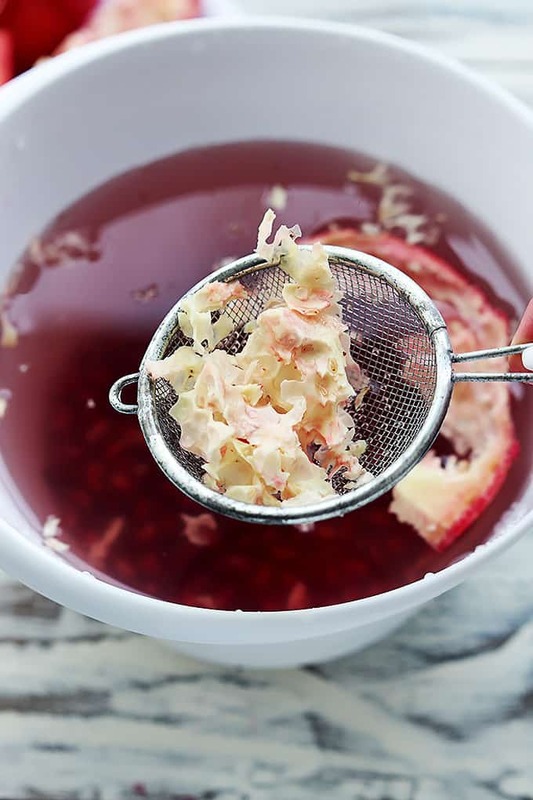 STEP 3: Scoop out the floating fleshy stuff and discard. . . 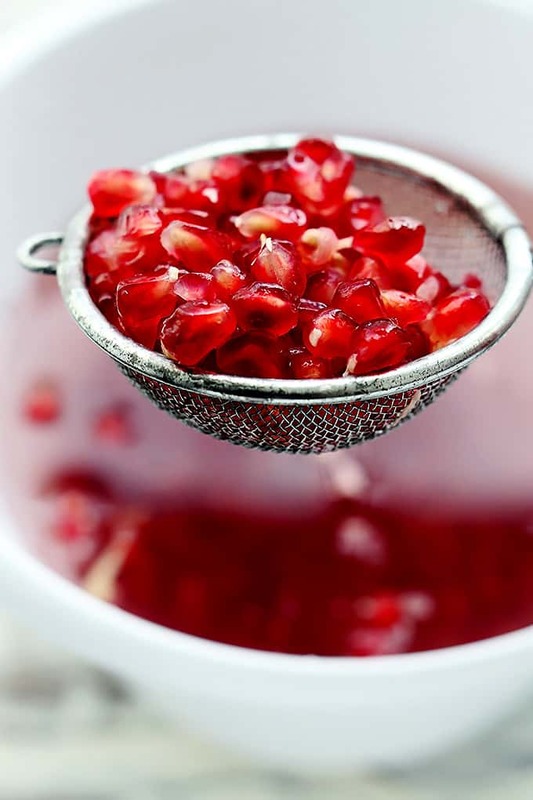 STEP 4: Use a strainer to drain the bowl of the water and keep the pomegranate seeds. 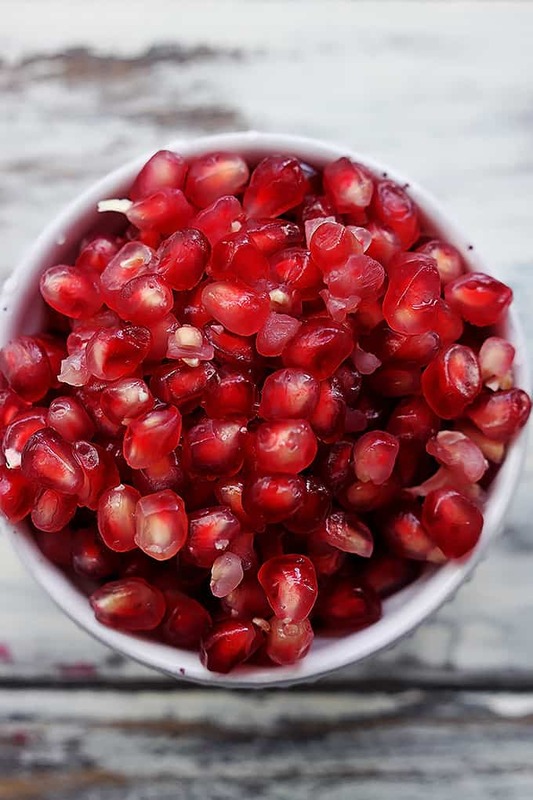 And there you have it – gorgeous ruby-red pomegranate jewels just waiting to be devoured! Check out the video! Handcrafted with love just for you. 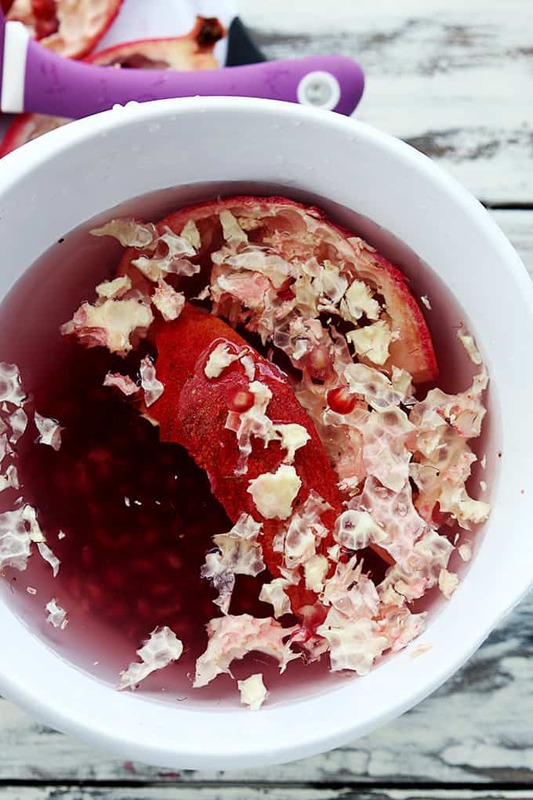 pomegranate from Creme de la Crumb on Vimeo. Nice tutorial that was much needed for me.